Marc Evan, "Star Child 113" on XL pumpkin. Your vision will glow in a Maniac Pumpkin. 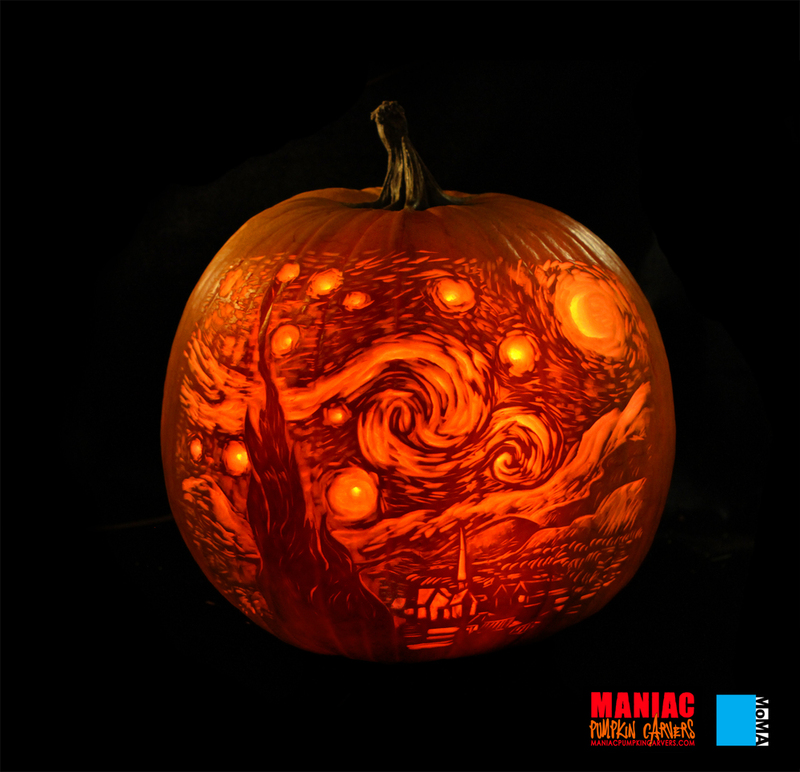 Provide us with an image of your choice and our outstanding artists will turn it into a beautiful pumpkin carving. So many gourd-geous possibilities. We love a good challenge and we excel at impressing clients with our attention to detail. 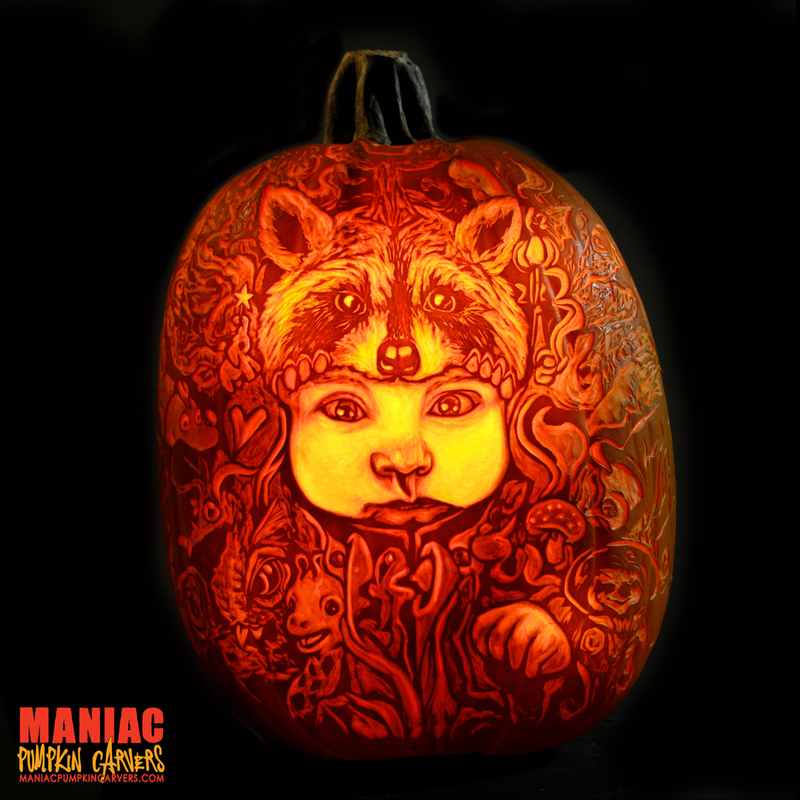 Whether you are looking for a unique gift or a fantastic way to engage an audience, a Maniac Pumpkin is sure to impress. When seen in person our pumpkins are mesmerizing to people of all ages and demographics. And when featured online, our carvings often go viral, amassing great numbers of likes, shares, and engagement among followers. For custom orders, email us with a detailed description plus any necessary images for us to be able to give you an estimate. Also please read our FAQ. We also offer high resolution photography (work in progress or beauty shots) and time-lapse videos, documenting the creation of your pumpkin art. Be sure to inquire about pricing and availability.